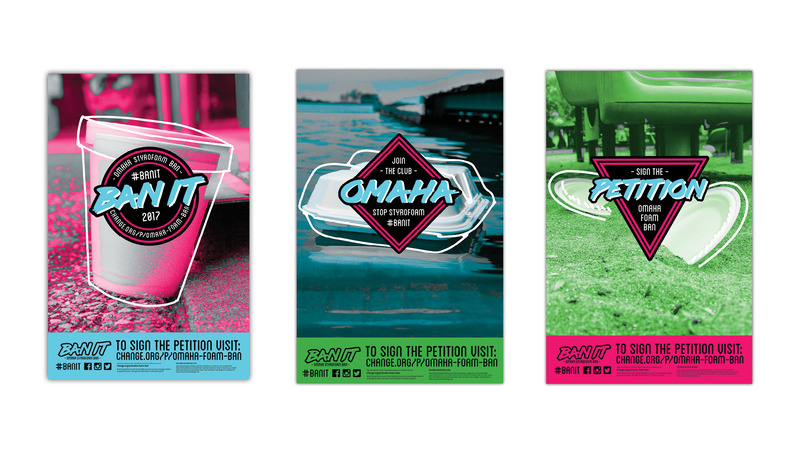 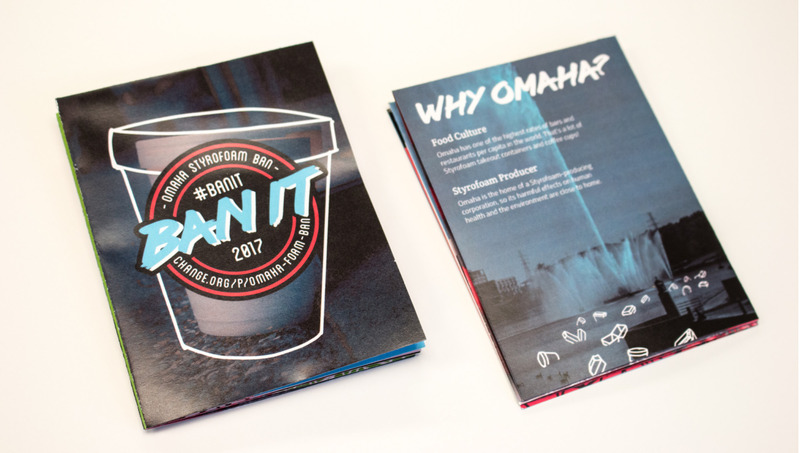 For this project I wanted to create a campaign and petition to end the use of Styrofoam in Omaha. 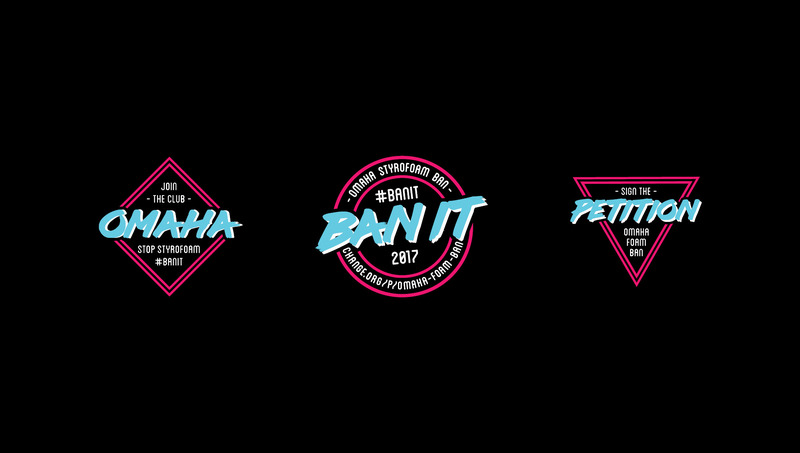 I decided to use a style from the 1980’s to connect with the audience that lived through the ‘80’s as well as the younger end of the target demographic whom find the ‘80’s to be attractive, as current entertainment trends prove. 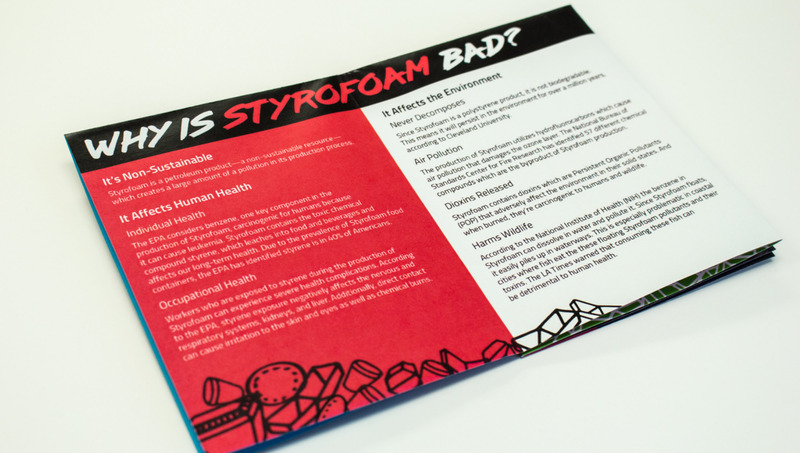 This also connected to the history of Styrofoam, because the EPA first started a wave of Anti-Styrofoam movements in the late 1980’s with their 1987 report. 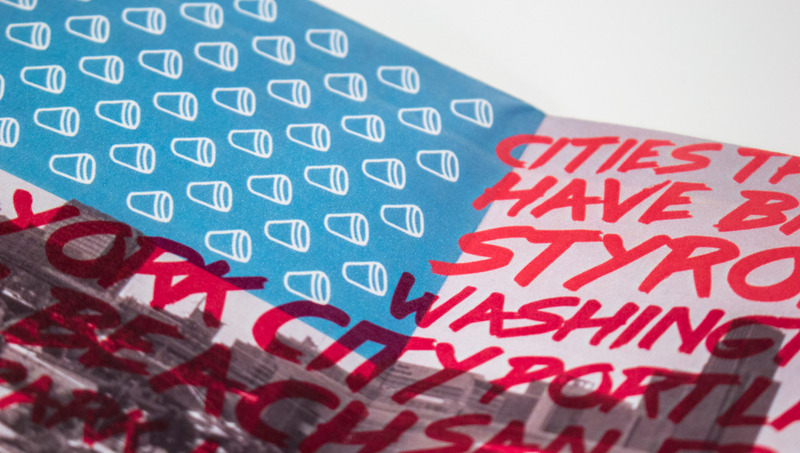 For the materials, I decided to utilize a zine, whose history is also tied to the ‘80’s, for zine culture started to adopt more political perspectives in this decade. 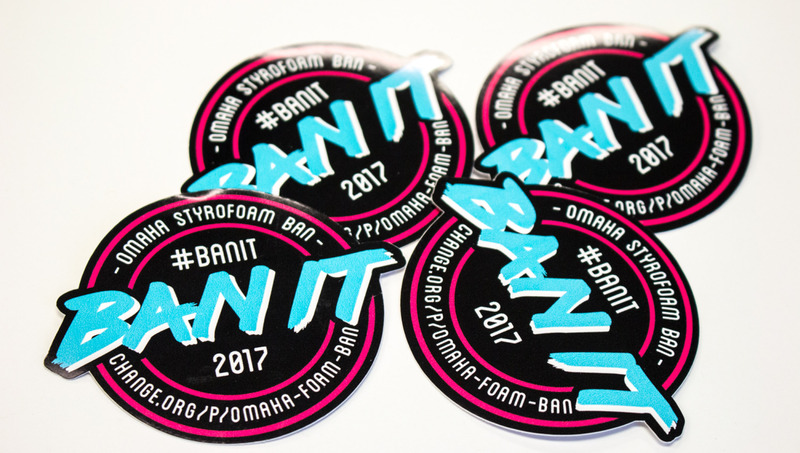 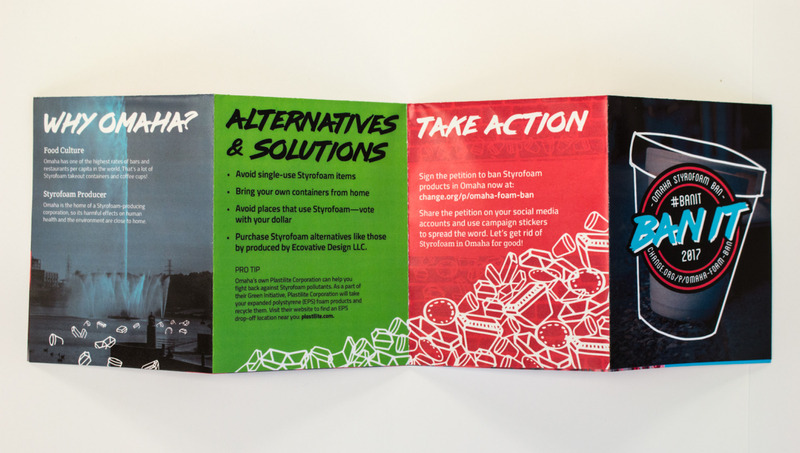 I created posters to draw in the audience, the zines to introduce the information, the stickers to spread the idea, and the online petition to share the campaign across social media platforms as research suggests this is the most effective way to get millennials involved politically.